Matilda and Miss Honey are both abused by Trunchbull. 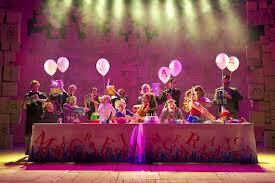 MATILDA THE MUSICAL presents rather dark themes, the major one being bullying. Although the bullies in this musical are primarily adults, bullying in general is a huge issue in schools today and it can be a challenge to ensure that students understand how serious the issue and the consequences are. It is beneficial for children to understand the points of view of both the bully and the victim (what instigates bulling, and also what it feels like to be in the victim’s shoes). Many educators opt to approach the subject via roleplaying because theatre allows the kids to delve into their imagination, and truly feel both sides. Matilda needs help as do others who are bullied. Often schools will hire theatre troupes to perform interactive assemblies at the school because, again, kids typically learn better when their imaginations are active over simply being lectured. Children need to be active part of the learning process, and since MATILDA is a children’s story and presents various important themes, it is a convenient and powerful tool for educators to use to segue into a discussion on bullying. The first step in eliminating the issue of bullying is to create an approachable environment where students feel open to sharing their opinions, feelings, and questions about the subject. 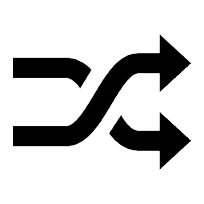 Below I have provided a few topics for teachers to discuss with their classes. 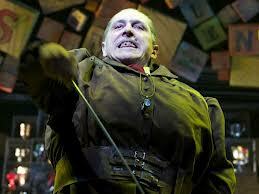 The dominating bully of MATILDA, Miss Trunchbull, is at the center of the musical’s primary theme. Ms. Trunchbull disciplines students by throwing them in the ‘chokey,’ a dungeon where kids are indeterminately imprisoned for the most incomprehensible violations of her set of “rules.” Educators should discuss with students what they believe motivates Miss Trunchbull’s bullying. For instance, she has a greedy hunger for control, so she formulates brutal tactics to uphold it (such as administering a spelling test where she makes up fake words that are impossible for the children to spell correctly). Is it possible that bullies in school possess this same desire for control and power? Just because Ms. Trunchbull is an adult and bigger than her students, does this make her behavior acceptable? Matilda is helped by Miss Honey. She also calls the students nasty names, such as “revolting.” Emphasize to students that verbal abuse and name calling is also considered bullying and the consequences are just as severe as if they were physically abusing another child. Students have the right to speak up when they are treated inappropriately, and they need to be assured that reporting an issue of name calling to a teacher does not make them a “tattle-tale.” Matilda is the hero in this story (hence the reason she has telekinetic powers) because she does stand up to Miss Trunchbull as she knows that the headmistress’s behavior is simply “not right.” In seeing the show and discussing it, kids can be inspired to follow their conscience and defend themselves and friends if they ever experience or witness bullying. Matilda thoroughly entertains while teaching important lessons. MATILDA THE MUSICAL praises moral courage and intellectual aptitude over physical and emotional manipulation and abuse (considering that Matilda is the victim of malicious abuse both at school and at home and still conquers it), but educators should ask their class what would happen if Matilda was homeschooled by her crude parents? What would happen if Miss Honey never adopted Matilda? After all, Miss Honey notices Matilda’s intellect and recommends to her parents that Matilda be placed in an advanced class. 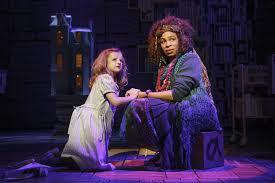 Instead of being proud and enthusiastic, Mrs. Wormwood scorns her daughter and Miss Honey. Matilda is also restricted intellectually by the inhumane bullying at the school she attends (appropriately named ‘Crunchem Hall Primary School’). If Matilda did not successfully defeat Miss Trunchbull, and if Miss Honey did not rescue Matilda from her hindering home life, eventually the bullying would have taken its toll on Matilda. 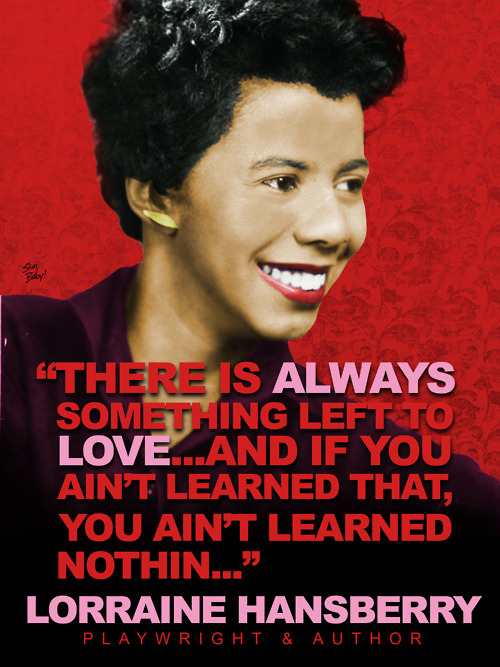 It may have destroyed her hope, spirit and future. It is vital for students to understand that any aggressive behavior that interferes with another student’s ability to learn is considered bullying. Matilda finds solace in reading. Matilda is not only a victim of bullying at school, but her family is smothering her with abuse. 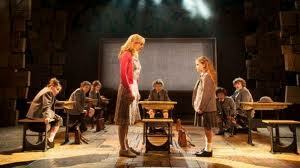 Discuss with students the bullying that occurs in Matilda’s home, and how she copes with it. Matilda’s father, Mr. Wormwood is a shady used car salesman, and from the beginning when she was born, he was angry that the Matilda was a girl and not a boy. He verbally abuses Matilda by referring to her as his second “son.” Matilda’s parents bestow all their love and praise on their first-born child, Michael. We also observe a great amount of bullying from Michael, who simply repeats and elaborates his father’s opinions, asserting that everything he knows comes from the Telly (the television). Matilda turns to her world of books, only to have her parents tell her that nobody likes a showoff or a little girl who does not watch television. Assure students that it is fine to be different and that they should not be ridiculed or abused because they are. Also, if they experience any abuse at home, they should feel comfortable talking about it with a teacher or a counselor. They have a right to live a bully-free life. Laura is a Plymouth State University alum with a degree in musical theatre. She has performed in revue shows and musicals around the country, most recently performing the role of Ulla in THE PRODUCERS at the Iao Theatre on Maui. Laura completed a year-long tour with Missoula Children’s Theatre, performing in, and directing, SNOW WHITE AND THE SEVEN DWARFS, PINOCCHIO, and THE FROG PRINCE. Laura teaches at various summer theatre camps, and is a frequent counselor/teacher at Camp CenterStage in Raymond, Maine where she has proudly worked for the past two summers. 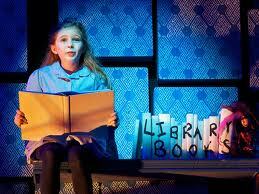 Broadway Show Themes and Issues	Matilda: From Books To Broadway!